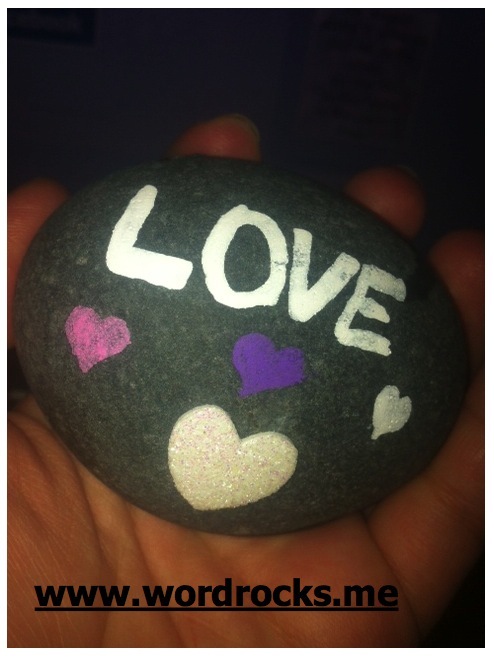 Although several word rocks are being spread every day, it's been a while since I heard from someone that had found one. But last night, I received an email from Alyse. She found a word rock in San Mateo, a city near to San Francisco, California. The rock she found was made by my young volunteers: Bruna and Chiara, who were very happy to know that they made someone happy. "Today as I was walking home from school (which seemed to be the worst day ever) I discovered this rock laying in the middle of the sidewalk. I've been in a very bad mood lately and finding this rock made me appreciate the little things people do to make you happy. I hadn't heard of word rocks before, so when I went to the website on the back of the rock I was very impressed. Thanks for making my day!, Alyse.